A known burglar who had absconded from prison was arrested in Pevensey on Saturday evening (December 8), according to a Sussex Police officer. 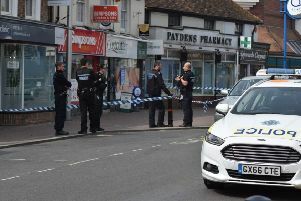 Police constable Elliott, who is based in Eastbourne, said another person was also arrested for assisting an offender. On twitter, the officer said: “A known burglar who absconded from prison earlier this week, has been arrested in Pevensey this evening in a joint effort by A and C section officers. A number of users responded to congratulate the officers on their ‘great work’.